Until recently, if you had even mid-tier elite status with an airline, you could bet on getting upgraded from economy to business or first class on many, if not most, of your flights. Not anymore. These days, scoring a free upgrade has become the exception rather than the rule of frequent flying. Here’s why—and what you can do about it. 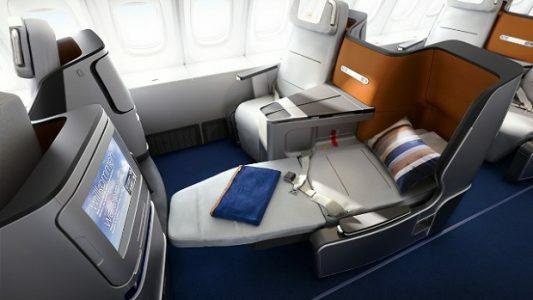 “Upgrades are getting harder to come by,” explains Gary Leff, founder of the points-and-miles blog View from the Wing, “because airlines are monetizing first-class seats in a way they didn’t used to.” A healthy economy in the United States and other countries means there are more premium fliers—and more people with cash to lay out on paid upgrades. Plus, says Leff, first-class fares aren’t as expensive as they used to be, so it’s easier to lure travelers into buying. Some forty airlines, including Singapore, Etihad, and Virgin Atlantic, are now offering up premium seats for auction through a bidding platform called Plusgrade. Most of them let you make a bid a week before the departure date and notify you within a few days if you’ve won. And unsurprisingly, each successful bidder claims a seat that might have once gone to a frequent flier for free. American legacy carriers have thus far resisted the auction trend, but upgrade availability has thinned for other reasons. To read more at Skift, click here.